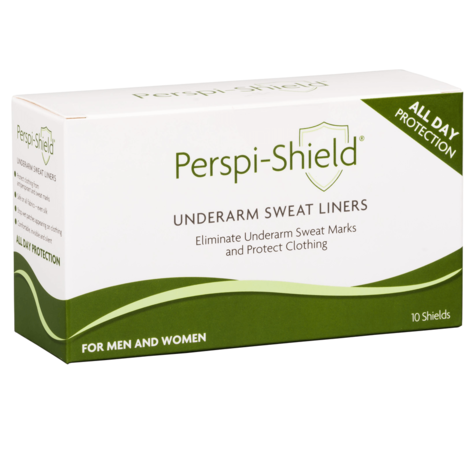 Suitable for both men and women, Perspi-Shield Underarm Sweat Liners are an effective, simple and hygienic solution to stop embarrassing sweat stains appearing on the underarm area of clothing. Each Perspi-Shield Underarm Sweat Liner has an adhesive backing which attaches directly to your shirt, dress or top to form a waterproof barrier between underarm sweat and clothing. Once attached the self-adhesive liners will hold in place and provide protection from light to moderate sweating for up to 8 hours. 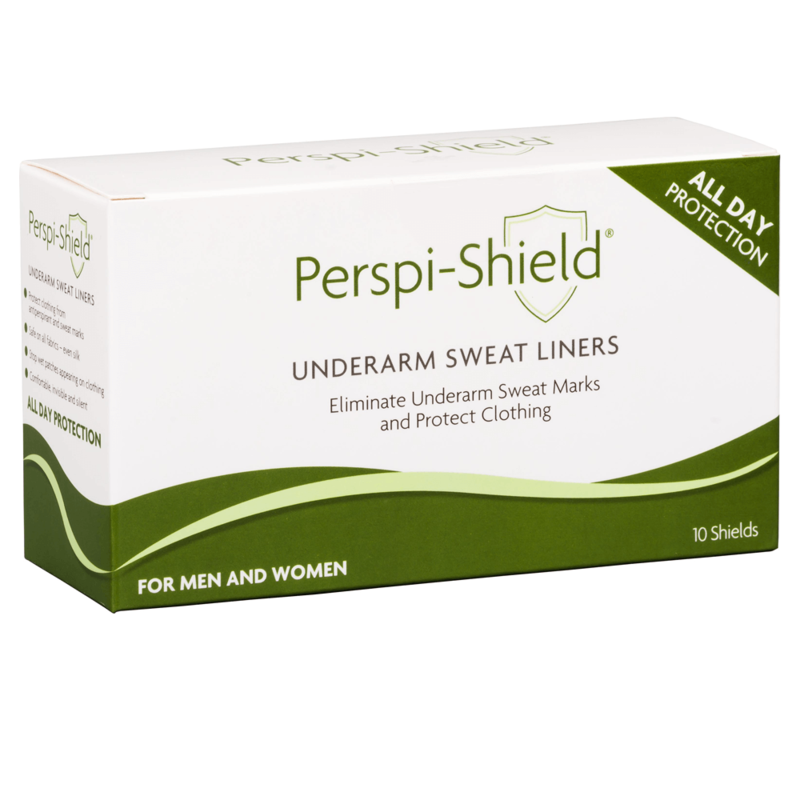 Safe to use on all fabrics, including silk, Perspi-Shield Underarm Sweat Liners are discreet and comfortable to wear. Invisible and silent, no-one will know you are wearing them. Buy with Confidence from a Perspi Authorised Dealer and All Purchases come with a VAT Receipt.